The Il Poggio holiday farm is a piece of rural heaven between the Val d’Orcia and the Val di Chiana, in the province of Siena. This natural holiday farm, in addition to having rich food and wine production, a restaurant with genuine local dishes and a qualified equestrian center, also offers accommodations. The farmhouse, with is the central building at the Il Poggio farm, provides elegant suites in Holiday farm while the apartments in Vacation rental reproduce the warmth of a country home in authentic Senese style but with all the modern comforts! 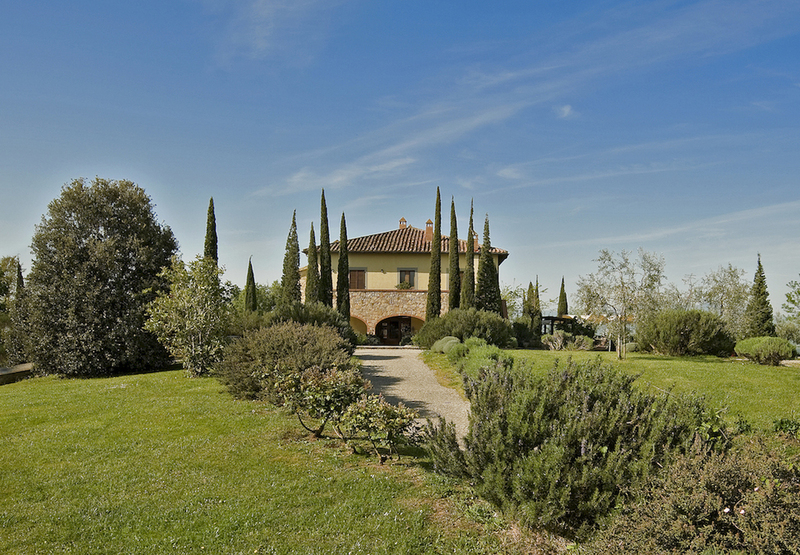 Al’Isà, Tara, Camilla, Farida and Ben Tar: five thoroughbred suites, all on the first floor of the Il Poggio holiday farm farmhouse. Here you'll be surrounded by a splendid view of the hills and an unforgettable relaxing atmosphere. The furnishings are elegant and comfortable. Stylishly furnished according to the local traditions, the suites are cozy and intimate. With warm pastel colored walls, these suites include a large master bedroom with king size bed, a cozy reading corner and large bathroom with shower and relaxing whirlpoolbath. 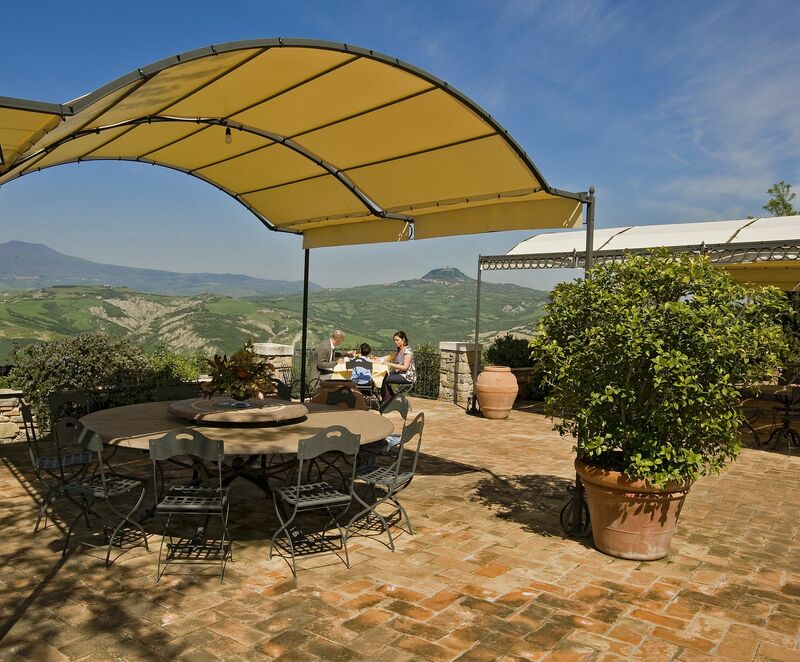 Your balcony may overlook the Val d’Orcia and Radicofani stronghold, or the just as breathtaking Valle dell’Elvella and Poggio Corno peak. 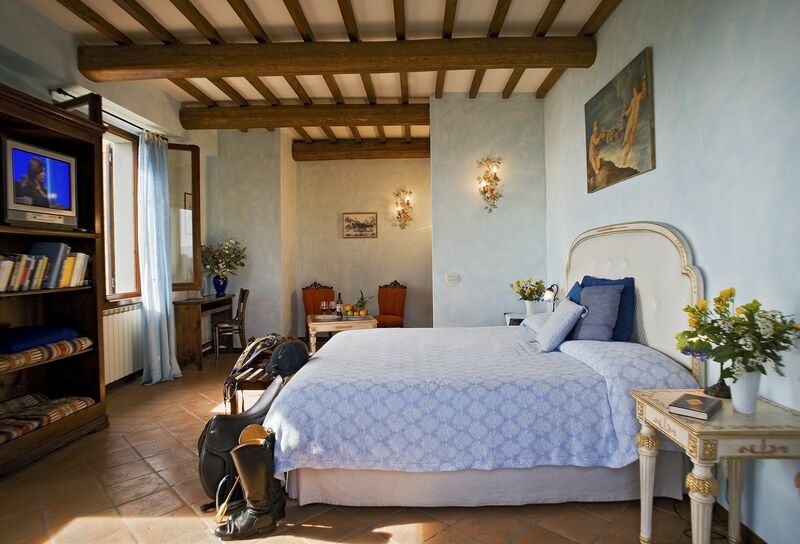 You'll feel like the king of the southern slopes of the Val d’Orcia sitting comfortably on your sofa bed. If you look to the West you can enjoy the Crete Senesi with Monte Amiata and the Rocca di Ghino di Tacco in the background. The Residence is located in front of the Farmhouse. The apartments are equipped with all the facilities and recreate a cozy rural settlement in a proper Senese style. The two-bedroom apartments, on the first or ground floor are composed of a master bedroom, a living room with kitchen nook and fireplace and a bathroom with shower. The ones on the ground floor own a private terrace, an ideal solution for families with children or for those people who want to grant more freedom to their pets. The three-bedroom apartments, consisting of two floors, have two bedrooms, a living room with kitchen nook and fireplace, two bathrooms and private garden or balcony.